Find new passions, reach new goals. Time to take it to the next level? Need a bit of guidance? Accountability? Or just need someone to push you that bit further? Our goal is to make our gym your second home. 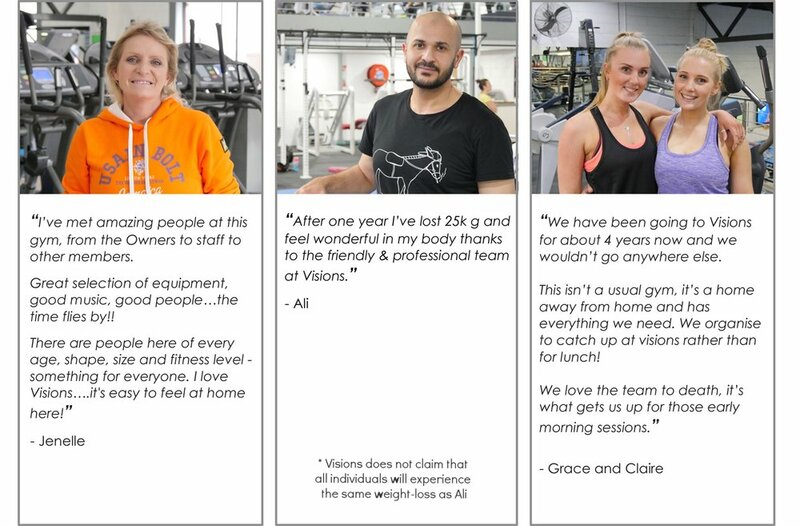 Our fully qualified trainers take pride in helping people change their lives through fitness. 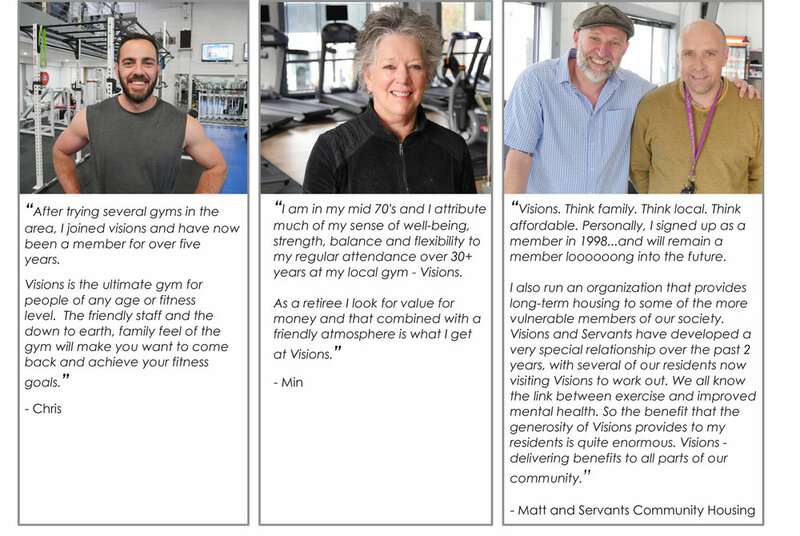 Health and fitness is a journey, so wherever you're at in your journey, Visions is your place to feel comfortable and motivated on the way to reaching your goals. Free programs to give you a fresh routine? Personal Training to push you harder and further? Boxing/Circuit Classes to motivate you each week? 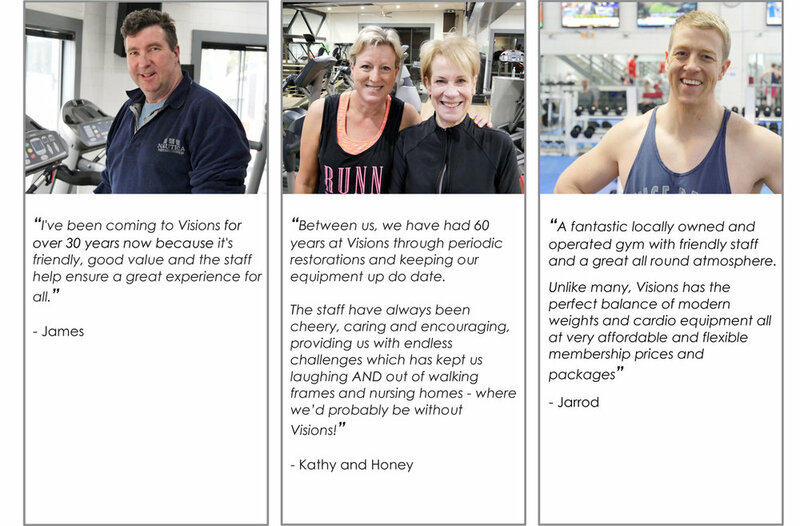 Visions has always taken pride in providing the best facilities at the most affordable prices. ...we're so proud of the value of our membership options, we're happy to be up front with our prices!